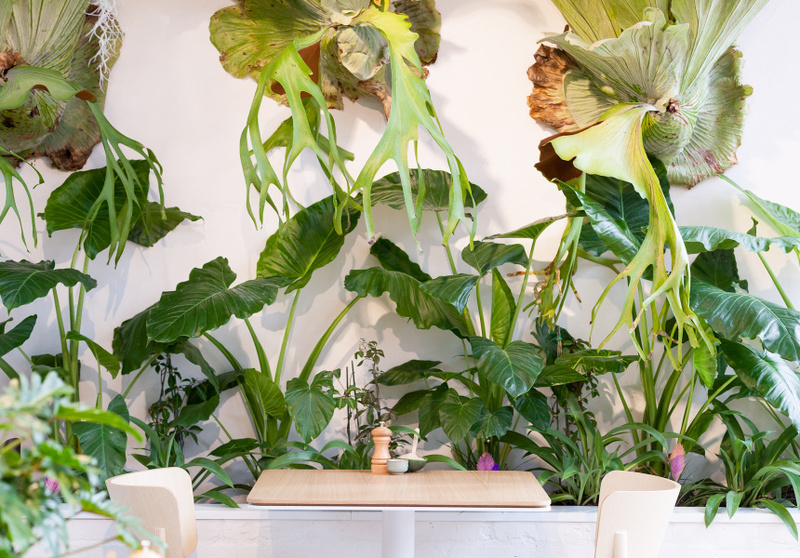 A sleek cafe, bakery and roastery that feels like an indoor botanical garden. 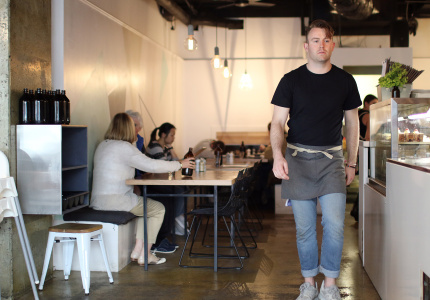 The name of a new cafe in Abbotsford, AU79, says something about the ambitious goals of the team behind the venue. 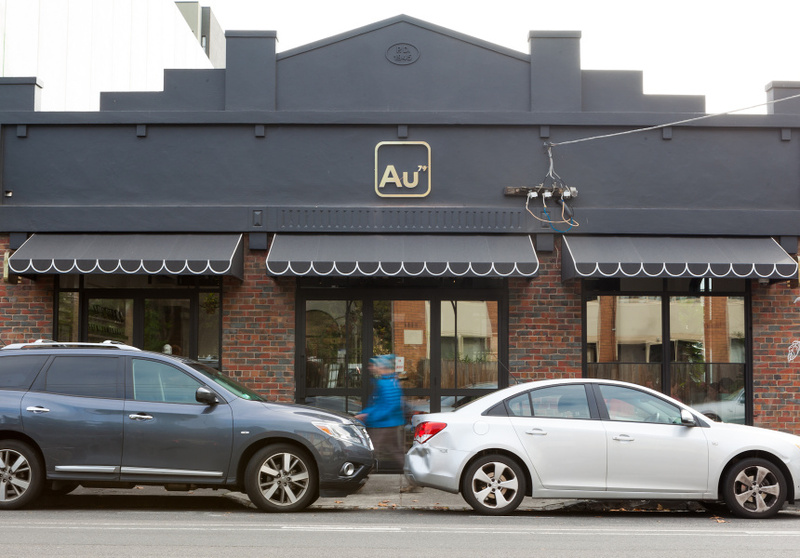 Au and 79 are the chemical symbol and atomic number for gold, and when you arrive at the cafe on Nicholson Street, you’ll see its gold standard: the name spelled out on a shiny, metallic gold sign attached to the brick building. 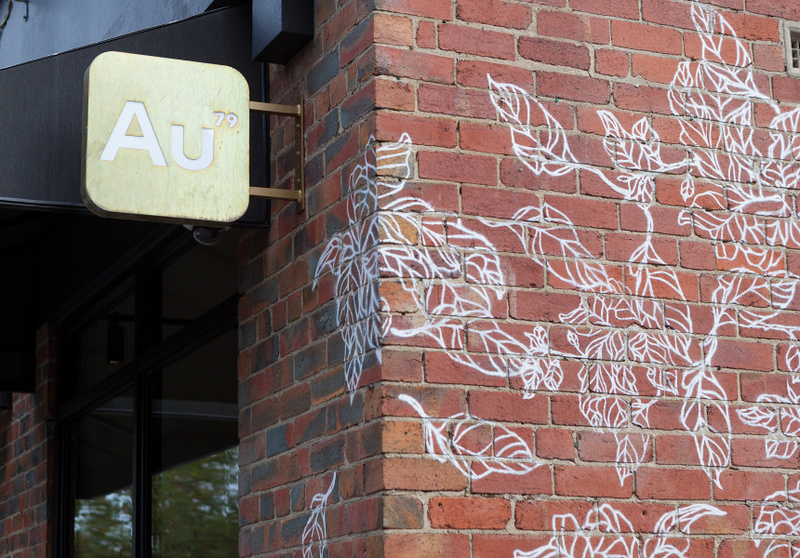 AU79 is not only a 200-seat cafe, but a coffee roastery, bakery and patisserie, as well as an event space. 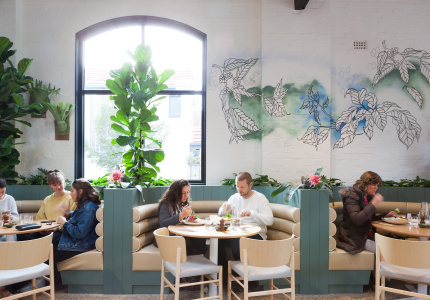 Once an old motor garage, the space has been transformed by Melbourne-based Mim Design, with stained cement floors and old tyres in what feels like a sprawling indoor botanical garden. 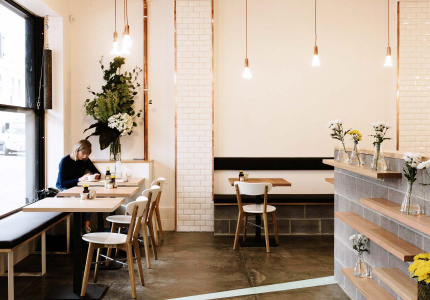 Interior windows reveal a self-contained roastery run by Minekazu Hirayama, and a bakery and patisserie run by Isaac Kane, formerly head baker at Rustica. Hirayama is roasting the cafe’s own blend, along with single origin coffees from around the world. Executive chef Steve Hogan and head chefs Ryan Lynch and ex-Sir Charles head chef Edward Noble designed a menu filled with classic dishes, with Asian-influenced extra flourishes. So alongside smashed avocado, waffles, and Breakfast Greens, there’s a confit duck bao burger with daikon kimchi and ssamjang mayo, and Shepherd’s favourite – an Okonomiyaki pancake with eggplant katsu, yuzu mayo and sweet-potato crisps. Shepherd met AU79’s owners, Maggie Li and Julia Hou, in 2014 when the pair bought Liar Liar, then managed by Shepherd. The three became friends instantly. The team already has plans to expand. 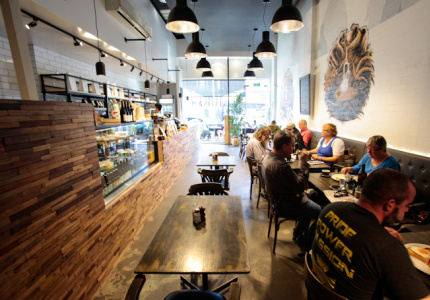 The next step is setting up a barista and coffee-roasting training facility within the roasting space.